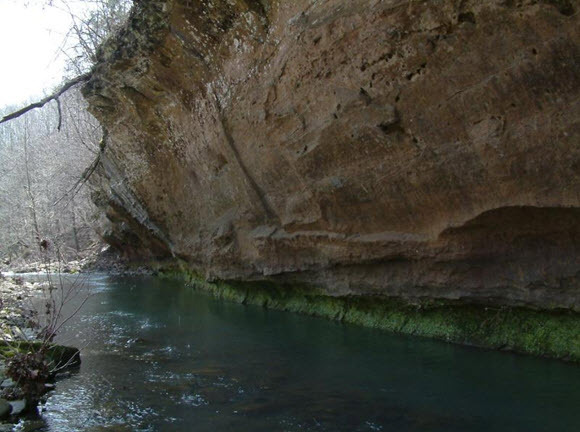 This is one of the most scenic creeks I have paddled. 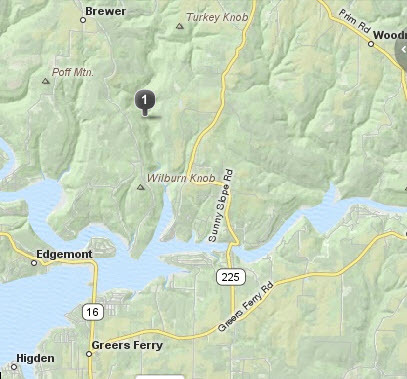 It runs into Greers Ferry Lake at the Corps of Engineers’ Hill Creek Park off of Highway 225. 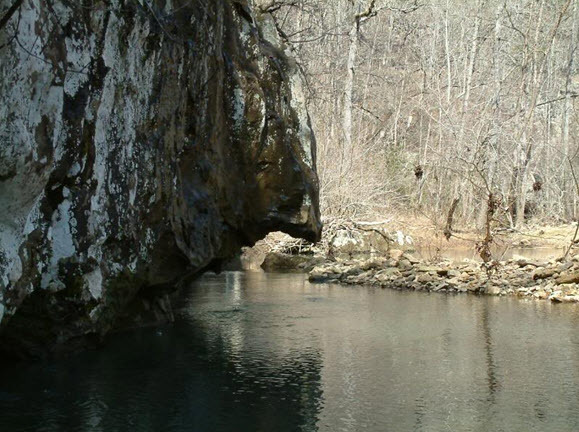 There are quite a few unusual rock formations along the creek. 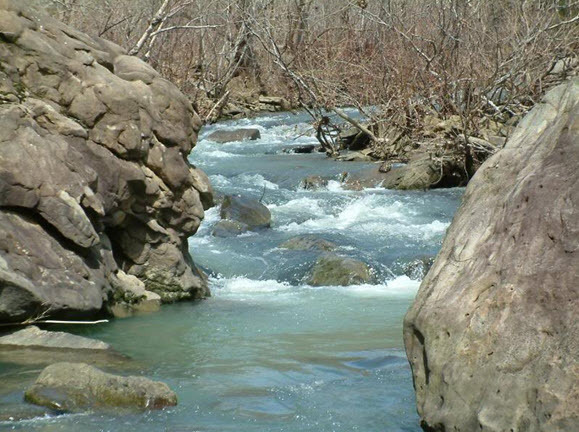 The nature of the creek is somewhat brushy with the occasional boulder group. 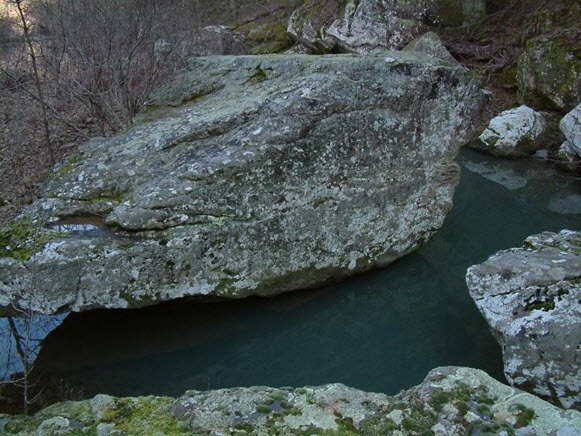 The boulder group above is in the middle of the creek and requires you to navigate through some slots. It turned out to be easy at a runnable level; the photo was taken at low water. 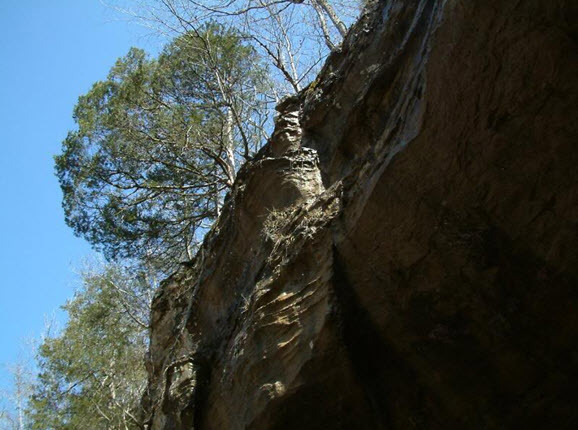 The rocks are undercut and allowed the flow to pass with very little turbulence. 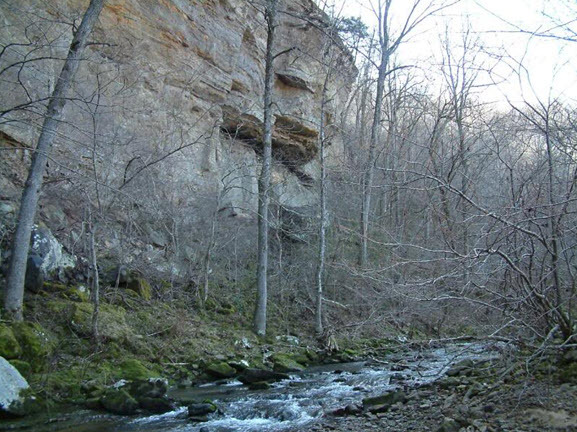 Lots of bluffs line the creek. 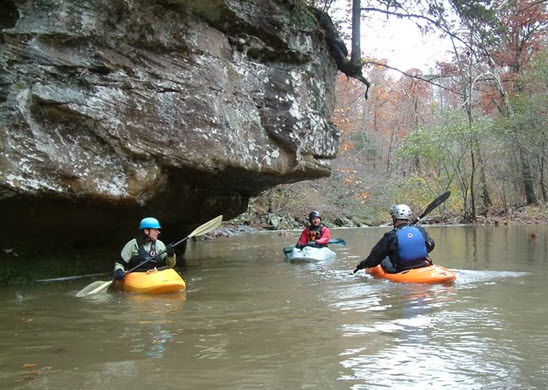 This Class 2 creek requires that you be able to catch eddies and maneuver around obstacles in moderate flow. Brewer Road comes off of Hwy. 225 and crosses the creek on a good bridge; that’s the put-in. There is another access point farther upstream, but it really is not worth launching there. 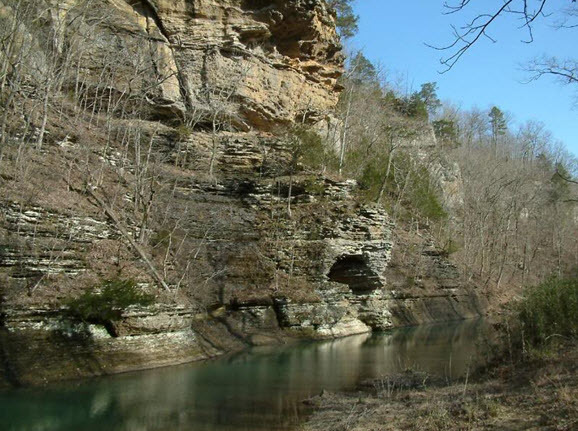 The property is all private in the area, so be respectful; you will see some cabins along the creek. There are places to park along the road on the west side of the creek, part way up the hill from the put-in. 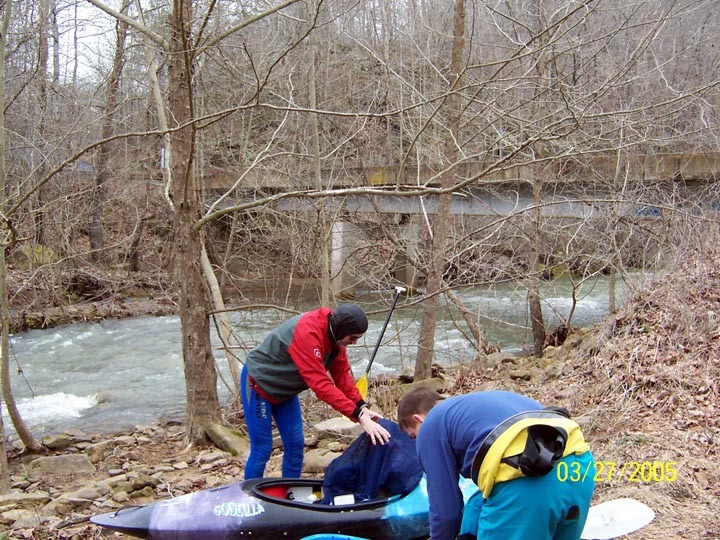 A drawback to paddling the five miles of this creek is the mile and a half of lake one must cross to get to the take-out (add that to the 5 miles of flowing water) at the Hill Creek Marina. 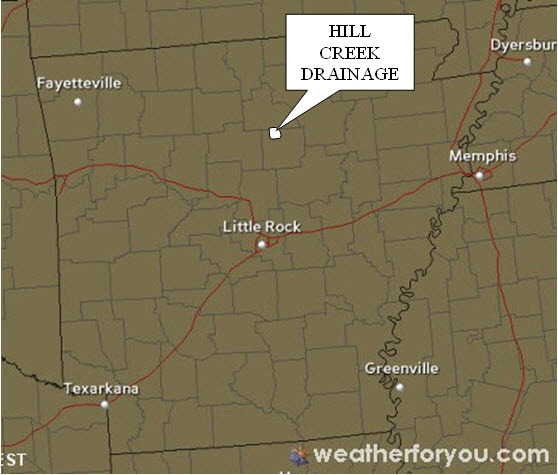 The creek is runnable when the drainage basin shown below receives a good storm. 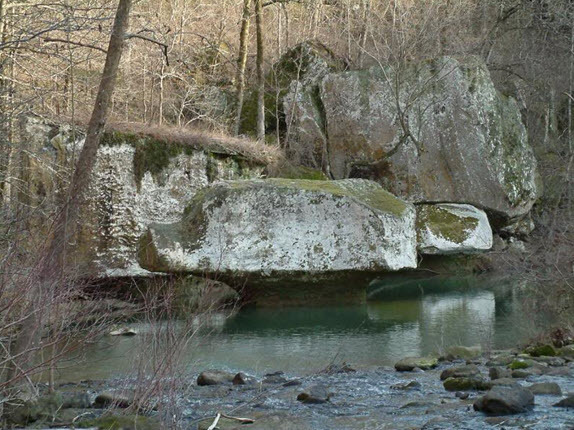 There’s about 8 square miles of land that drains into Hill Creek, so it shouldn’t be real hard to catch it while it is running. Usually a storm during the night that puts a couple inches in the drainage will have the creek running the next day. There are several radar websites that can show you the specific location of rainfall; one of my favorites is the National Weather Service site showing precipitation total for the current storm, which can be displayed on an hourly total basis. Click on the link at the left side of the page.